Well Christmas for my class came early this year! Our project on Donors Choose was funded last month and we received all of the items today. It was so exciting to open up all of the boxes in front of the kids and to see their reactions! I love to see them get so jazzed about math manipulatives =) Below is a pic of the items that were donated to our classroom. We received 2 tubs of double-sided counters, a tub of plastic coins, 2 sets of coin stamps, 2 ink pads, 2 sets of magnetic coins, a tub of dice-in-dice (so cool! ), a graphing chart pad, and a Meet the Common Core Math Standards Learning Centers kit. 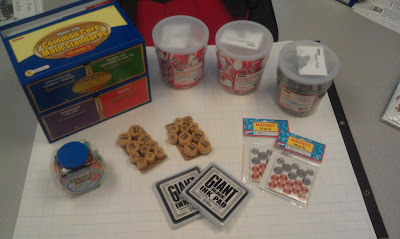 I can't wait to use all of this, especially the dice-in-dice and the CC Learning Centers kit. I actually had a parent volunteer use the Learning Centers kit today with some of my struggling students. The kit has an activity for each standard on a write and wipe board. There are also materials such as coins, counters, clocks, etc. that are provided. I gave my parent volunteer a list of the students who are struggling and the specific standards that they need help on (example: 2.MD.1) and the volunteer pulled them into the hallway towork with them one-on-one. This was super easy because the activities are ready and prepared. It was amazing! Click on the picture below to learn more about this awesome kit. My other favorite item is this tub of dice-in-dice. I didn't even know these things existed! These dice are great because they can be used for so many different things- practicing math facts, 2-digit addition and subtraction, and much more. Check them out below! 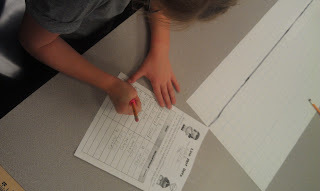 This week in math, we've been learning all about line plots. This is a new standard in second grade so my team had to get pretty creative with how to teach this skill. My teammate, Kristin, found this amazing website to teach your students how to make a line plot. 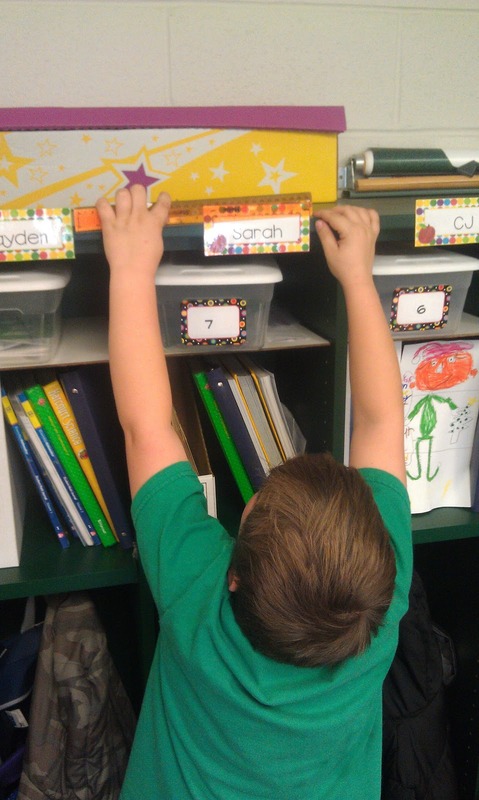 It starts off with a fun game and then gives you different scores to put on a line plot. After you make the line plot, it then generates questions for the kids to answer. They absolutely loved this activity! It was amazing on the Smart board, but would also work well on the student computers in your classroom. 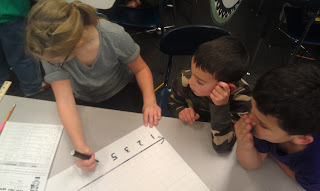 For this activity, students worked in groups of four. 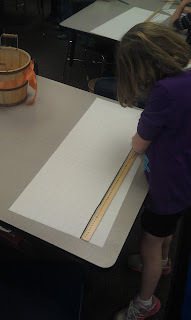 They went around the room and chose 10 items to measure that were less than 12 inches long (I didn't want the range to be too big!). 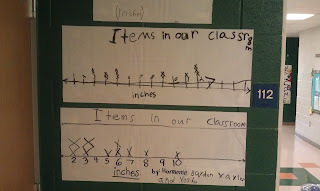 After measuring each item, they had to record it on their group's recording sheet. Next, they turned their measurement data into a line plot using chart paper, yard sticks, and markers. We talked about having a title, unit at the bottom, and even spaces between numbers. 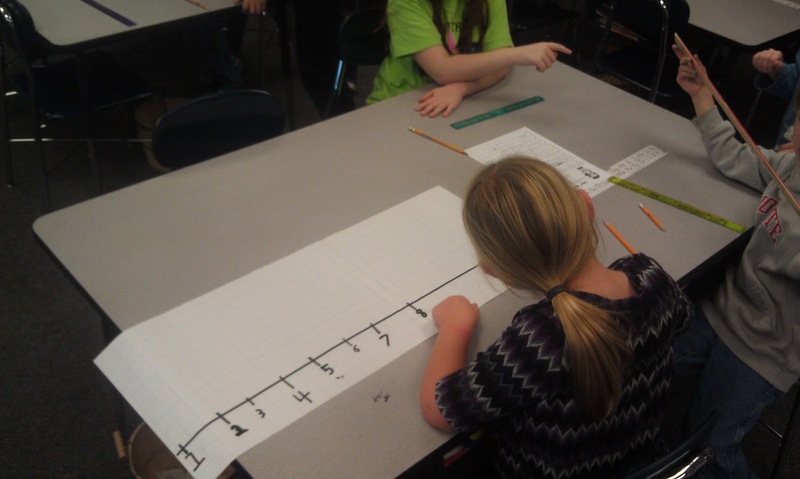 Last, the kids had to write 3 questions that could be answered by looking at the line plot and then answer them. We shared these at the end of math today and the kids read their questions to the class and had others answer them. Even though the line plots aren't perfect (we used plenty of fix-it tape! ), I kept reminding myself of the importance of "process over product." The process was so meaningful for the kids! If you'd like to download a free copy of the recording sheet (and space for questions on the back), just click on the image below. I hope you enjoy it! Congrats on getting your Donors Choose project funded! It is such an amazing feeling and right before the holidays- couldn't be a better time! Enjoy! Thank you! 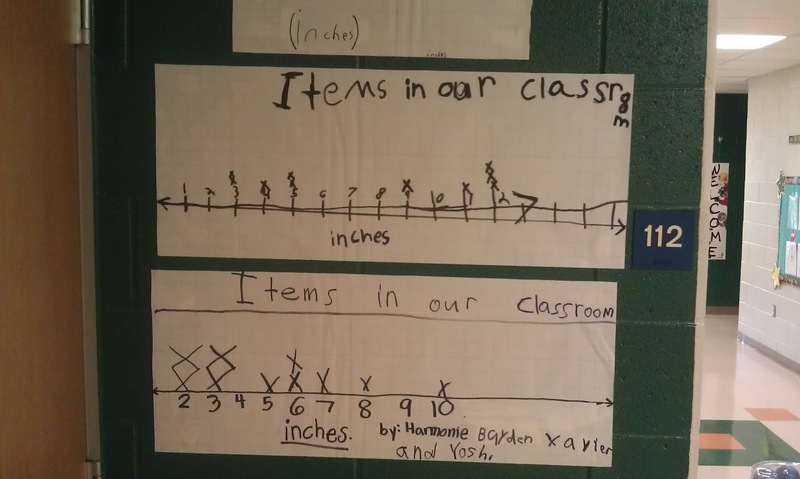 My kids need more practice with line plots, and this is perfect! fabulous! love it! I hope my class does as well as yours did. we don't work in groups too well.